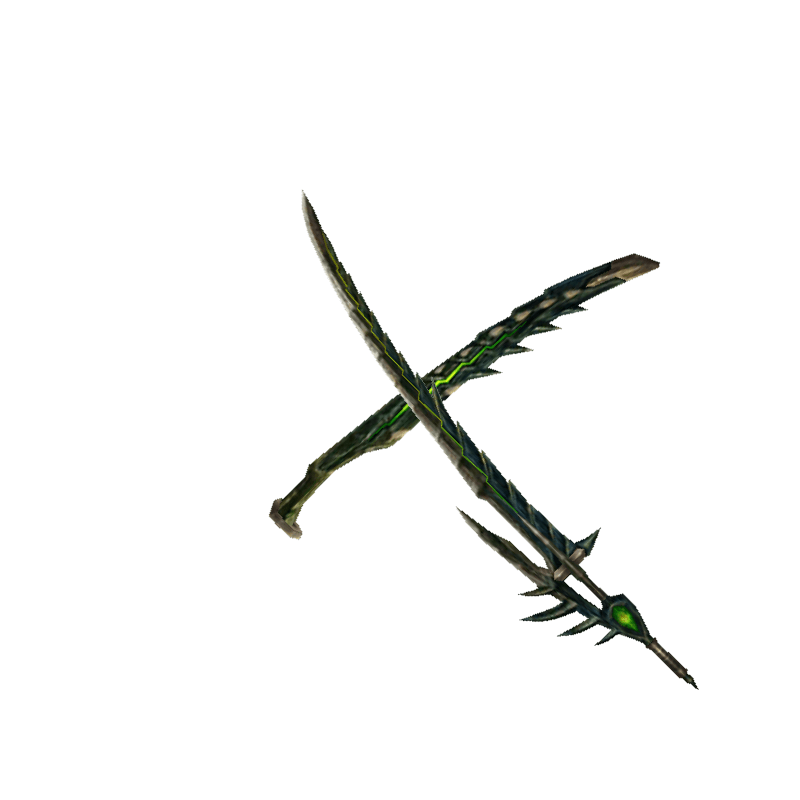 Wyvern Blade "Beryl" / Wyvern Blade "Emerald"
Each swing of this Long Sword bathes monsters in pools of electricity. / The final form of the Wyvern Blade "Beryl." Covers the skies in deadly thunderclouds.